If a storm damages your roof, siding and gutters, the aftermath can be overwhelming. Dealing with your insurance company can add another layer of complexity and uncertainty to the situation. The first thing you should do after the storm is determine whether you need to file a claim. Tony's Roofcare Inc. can help you determine if there is enough damage to warrant filing a claim with a comprehensive inspection of your property. As soon as you notify the insurance company of your claim, they will assign an adjuster to assess the damage. Sometimes these adjusters are private contractors working on behalf of the insurance company. At Tony's Roofcare Inc., we’ve worked with adjusters on all kinds of structures, and can help ensure your adjuster understands what repairs and replacements need to be made to properly restore your home. An adjuster can miss some of the technical aspects of insurance repair and replacement after a storm, and this can cause you more headaches if the repairs aren’t completed right. You definitely want to have an experienced contractor on your side to provide expert guidance. As far as your mortgage company is concerned, they need to be involved in the process as well. Once the insurance company issues you a check, the mortgage company is required to sign off on that check. Some insurance policies have a recoverable depreciation clause. You’ll want to check and see if it’s in yours. It simply means that the insurance company will hold on to some of the claim money to ensure that repairs and replacements are completed. If, in the end, you do not have the work done or it is never finished, you will not be able to get that portion of the claim back. 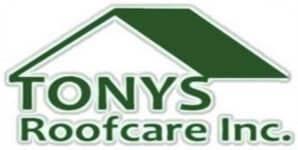 Reach out to Tony's Roofcare Inc. for immediate help if you’ve experienced storm damage. Contact us now at (253) 841-7779 or fill out our online contact request form.